So sad to say that this is now closed. We will miss you New Castle. 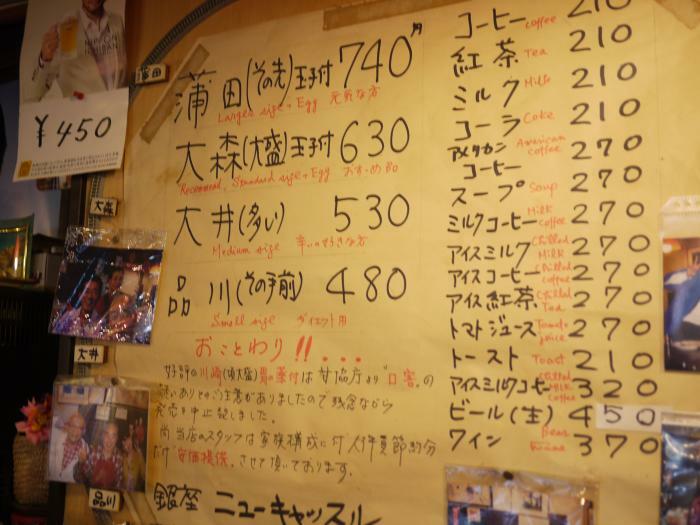 An old style curry shop, in an old building in a very modern part of town, catches your eye. 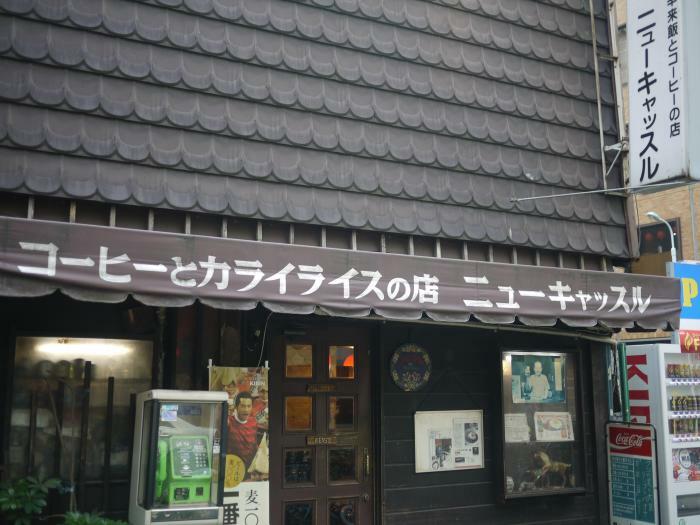 The shop opened in Showa 21 (1946) and it looks like nothing in the shop has changed since then. 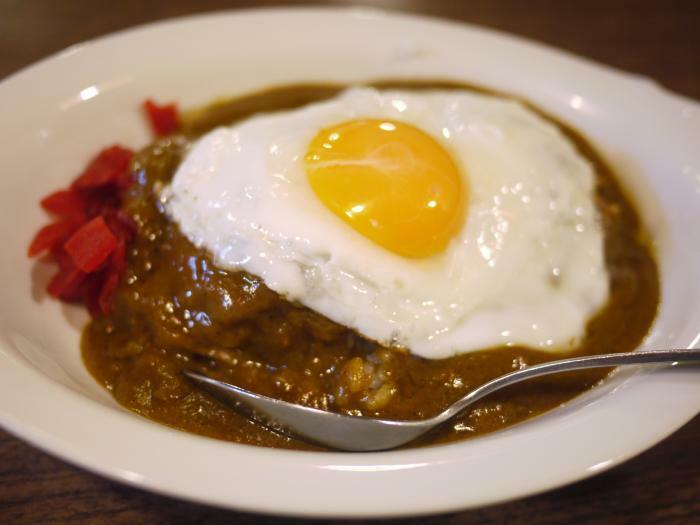 New Castle has long been famous for its curry rice, which can be topped with a sunny-side up egg. The menu items are named after train stations on the Keihin-Tohoku train line including Kamata and Shinagawa, the difference being the portion size and if it is topped with an egg or not.